Rico III has a string of Champion sashes to his name. 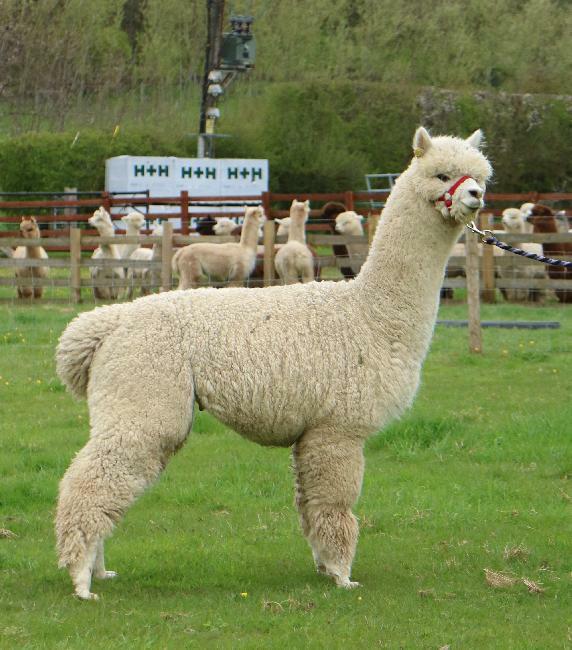 We have great expectations of his breeding career in general, as his first crias are exceptional. A stunning looking Stud: not surprising with Jolimont Rodrigo, Bozedown Comet II, Galaxy of Bozedown and Olympus of Bozedown in his pedigree! This terrific combination resulted in Rico, a handsome, compact Stud with good strength of bone and uniformity of micron and character right across his fleece, along with great density.